Rajwadu is one of the most unique restaurants in Ahmedabad owing its décor, which will floor you as soon as you set foot inside the premises. Boasting a village theme, this restaurant packs a punch. Rajwadu is a work of art with has water bodies and gardens inside, constituting a serene environment to welcome you. And that’s not it! The courtyard features folk musicians on a regular basis, and their performance is sure to make any evening magical. These unique elements add up to provide you with an ambience that is hard to find anywhere else in Ahmedabad. If you want to keep it light, you can have snacks or mini meals at the in-house café, called Madhurya. However, the charm lies in the authentic Gujarati food, which is served on leaves or in earthen vessels. 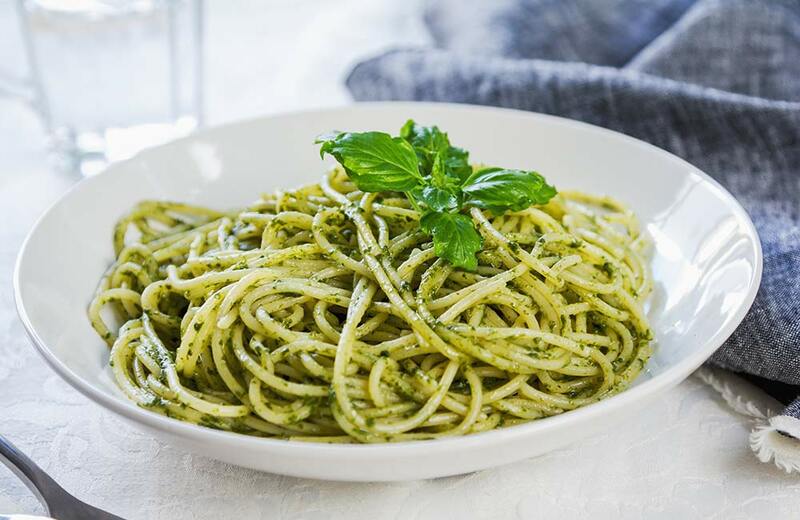 Sit cross-legged while relishing your food, and go back to the basics of simple eating. 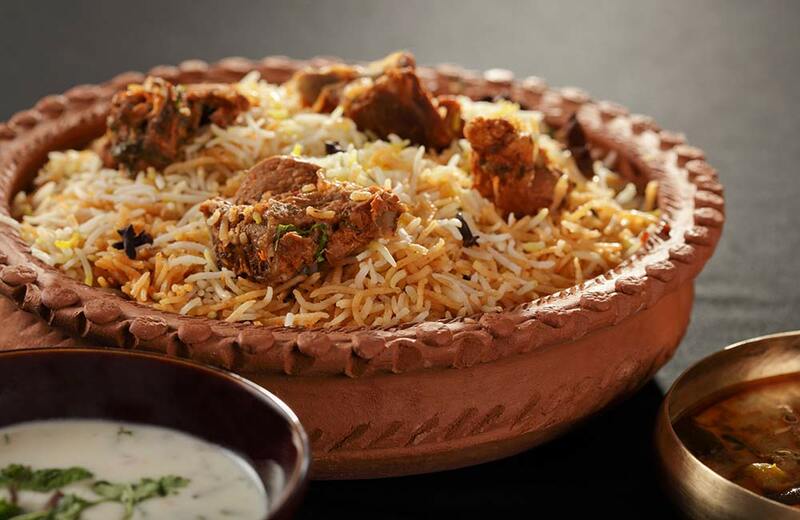 You can opt for Baradaris as well, which has a lower seating arrangement, and where food is offered in bronze thalis. 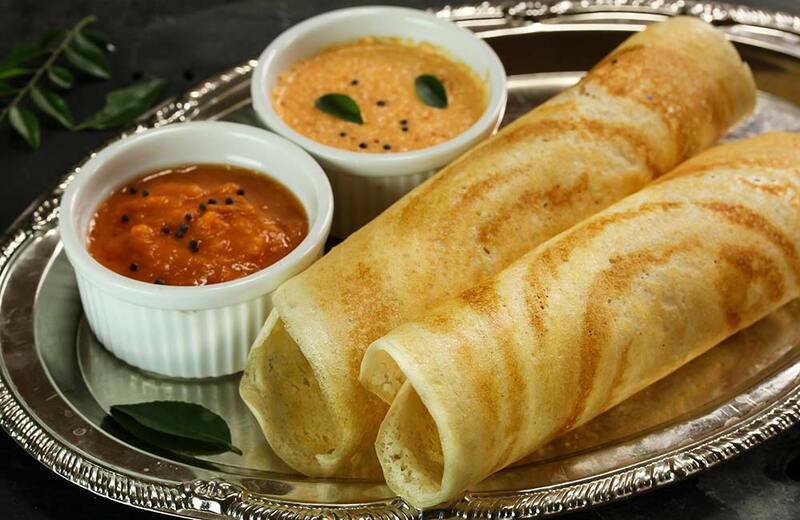 If you’re craving South Indian cuisine, Dakshinayan should be your first stop. You will be surprised by the wide range of menu options, especially the delicious chutneys, which are served with dosas and idlis. Go for combo meals if you want to try out a number of dishes at the same time. It’s totally worth a try. In the end, make sure to taste the authentic filter coffee. The sevai will surely leave you delighted. This is one of the few restaurants in Ahmedabad that serve authentic South Indian dishes at a pocket-friendly price. If you have a large appetite and want to savour unlimited Gujarati food, Gordhan Thal has got you covered. 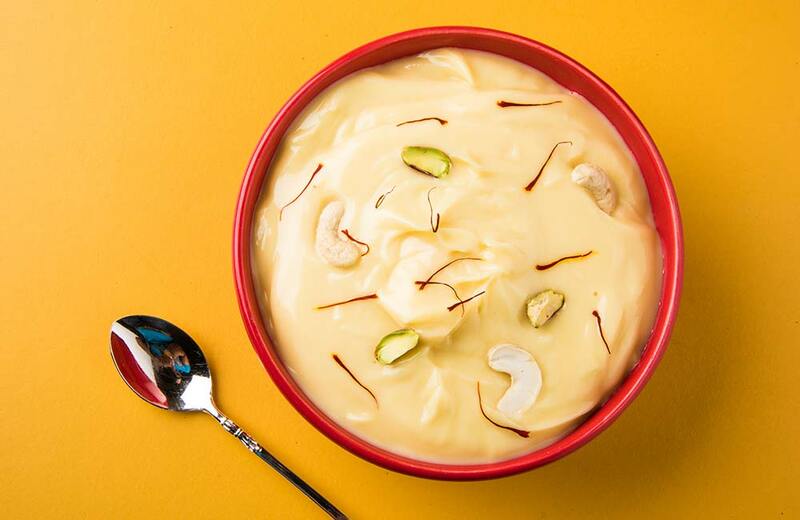 Seasonal specialities in their thali include salads, papads, three types of snacks, four vegetable dishes, a Rajasthani or Gujarati daal and kadhi, rice, roti, baati, two types of Indian desserts, buttermilk, garlic chutney and pickles. Sweet dishes are also among their specialities. Khichdi and bhakri are also available to be added to the thali. This entire meal is at a cost which might make you order another even if you can’t eat any more. There are meal boxes available for groups as well. 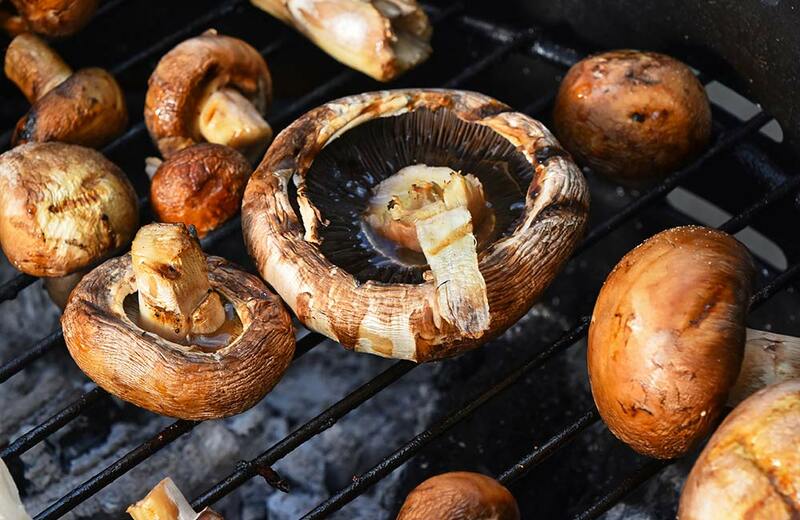 Make sure you go with an empty stomach to relish this food extravaganza. This is undoubtedly one of the most unique restaurants in Ahmedabad. Synonymous with fine dining and the best of Gujarati cuisine, this heritage mansion from the 1920s, with its Indo-Baroque rooftop, is one of the best restaurants in Ahmedabad. If you like to binge, then you have to come here as it offers unlimited food and different menu every day of the week. Plus, the attentive and polite staff won’t let your plate be empty for a moment. The House of MG (as it’s also known) is quite popular with tourists and locals alike. When the sweet tooth craving strikes, Cafe De Italiano is the place to visit. Popular for their Freaky Shakes, pastas and coffee, it’s a popular hangout for youngsters and adults alike. The menu has refreshing drinks like mojito slush and iced tea, and for quick bites, you can have hakka noodles, wraps and fries, all at pocket-friendly prices! 650-The Global Kitchen has a big gate, which opens up to a wooden pathway, winding through green gardens before leading up to the restaurant. The view outside the large windows of this restaurant is as good as its food. Starting from tofus to ultra-thin pizzas, you will get a host of delicacies to choose from at this place. Ornate stonework on the walls accompanied by subtle lighting results in a refined and relaxed ambience. 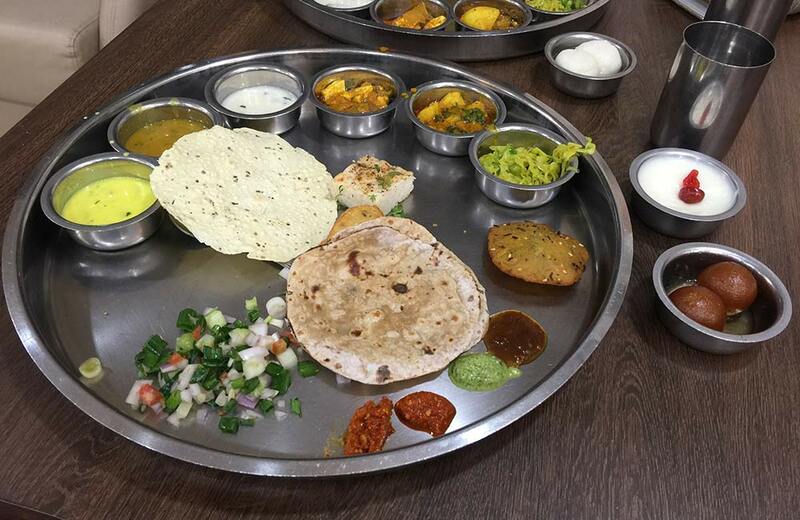 They have a long list of Jain-friendly items, which are prepared without the use of onion or garlic, making this one of the best multi-cuisine vegetarian restaurants in town. Once you are here, you must try their signature soup potage, which comes with blended vegetables. If you are a fan of vintage music and love Rock ‘n’ Roll, this is the right place for you. This 1950s American-themed restaurant showcases the best of the era, not only in cuisine but also in its decor. Posters of Elvis, a bubble gum machine, Cadillac license plates and floor-mounted counter stools at the mocktail bar bring out the true essence of the West. This theme is translated into the menu with Items like lemon pepper chicken breast and crumb-fried chicken. Tomato’s is also popular for cuisines other than American, as the menu showcases Mediterranean, Chinese, North Indian and Mexican dishes. Yes, that’s a long menu, and each dish is worth a try. You have a range of puddings and cakes as dessert options. Their platters can be split between 3 to 4 diners, making Tomato’s a perfect choice for family restaurants in Ahmedabad for dinner. 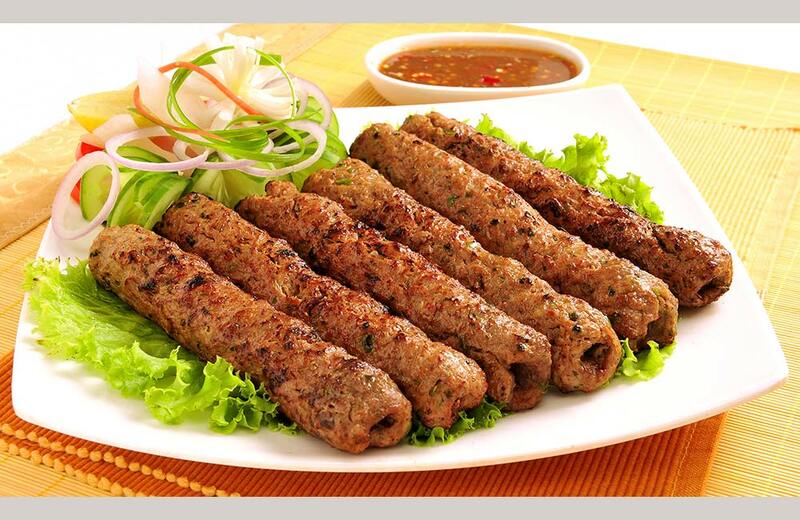 Earthen Oven offers the best North Indian and North West Frontier cuisine in Ahmedabad. It’s located on the top floor of a hotel, and the view of city lights overlooking Sabarmati River makes it an ideal place to go for a romantic dinner. 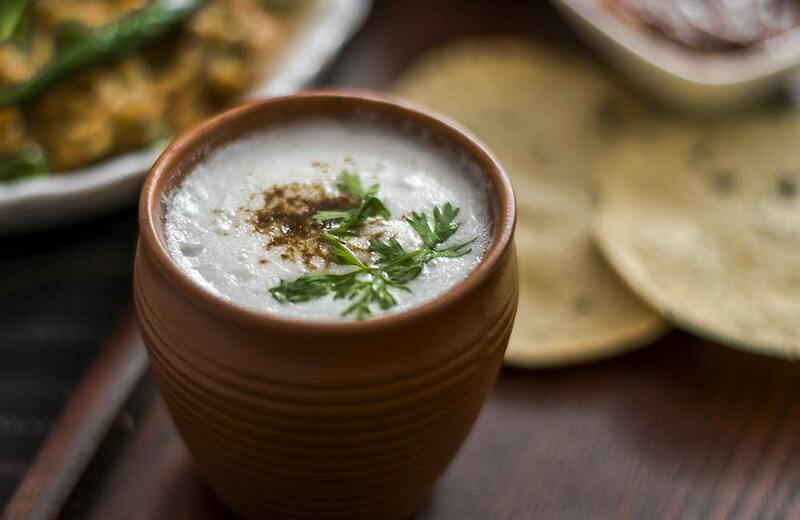 Earthen Oven is also considered to be one of the best Punjabi restaurants in Ahmedabad; don’t forget to try the Dahi Kebab with Sikandari Raan and Dal Makhani. Serving one of the best non-vegetarian platters in Ahmedabad, Pleasure Trove stands out as the perfect place for you to take your loved ones out for dinner. It offers a plethora of non-vegetarian options and serves both à la carte and buffet-style meals. The romantic ambience makes this restaurant an apt choice for dinner dates. This restaurant is also one of the few to stay open way past midnight. Serving Mexican, Parsi, North Indian and Continental cuisines, Silver Leaf Bistro has a la carte as well as a buffet. 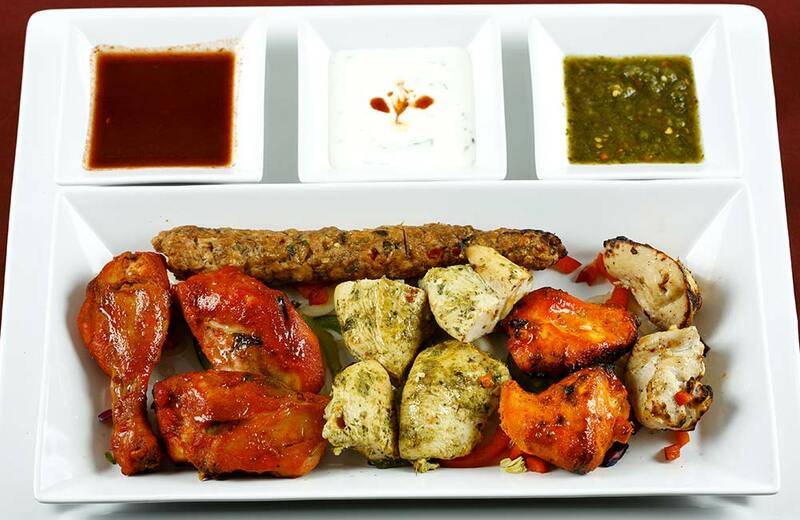 The sizzlers here are mouth-watering and are one of the most popular items on the menu. Lip-smacking food and live music in the background will make you cherish your meal even more. Serving both vegetarian and non-vegetarian North Indian dishes, this restaurant is known for its kebabs, lip-smacking curries and desserts. As the name suggests, tandoori items are their speciality. 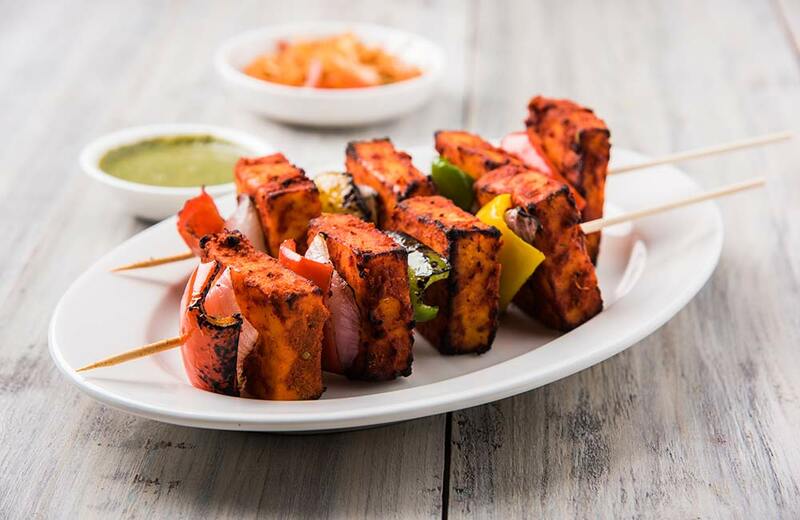 TandoorworkZ is undoubtedly one of the best Punjabi restaurants in Ahmedabad, which even you will say after you have dined here. So, now you know Ahmedabad has a wide range of delectable cuisines to experience, right from simple vegetarian meals to extensive menus with non-vegetarian items. 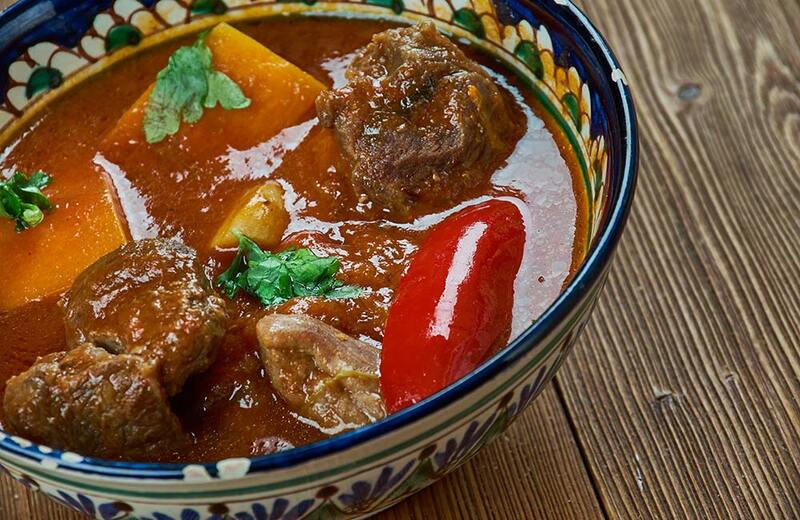 Check out these places to be delighted by Ahmedabad’s culinary offerings. And, if any of these is near your hotel in Ahmedabad and even if it’s not, visit it.